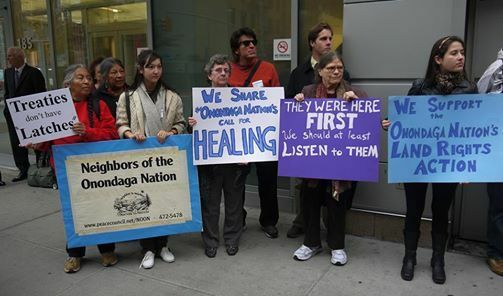 Please join us for this presentation by Neighbors of the Onondaga Nation (NOON). Come learn lessons from NOON and citizens of the Onondaga Nation, who have worked together as allies for more than 25 years on issues such as the rights of Indigenous Peoples, environmental responsibility, peace, land rights, cultural respect and mutual friendship. Over time and while learning from our successes and mistakes we have learned important lessons about how to engage in this challenging work ethically and effectively. We’ll be sharing what we’ve learned, viewing a short film and listening to each others stories and efforts. Come learn about this important work and how you can become involved with NOON. Free and open to the public. Donations to NOON gladly accepted.